Canning – Wandering Wyoming…and sometimes, other places. 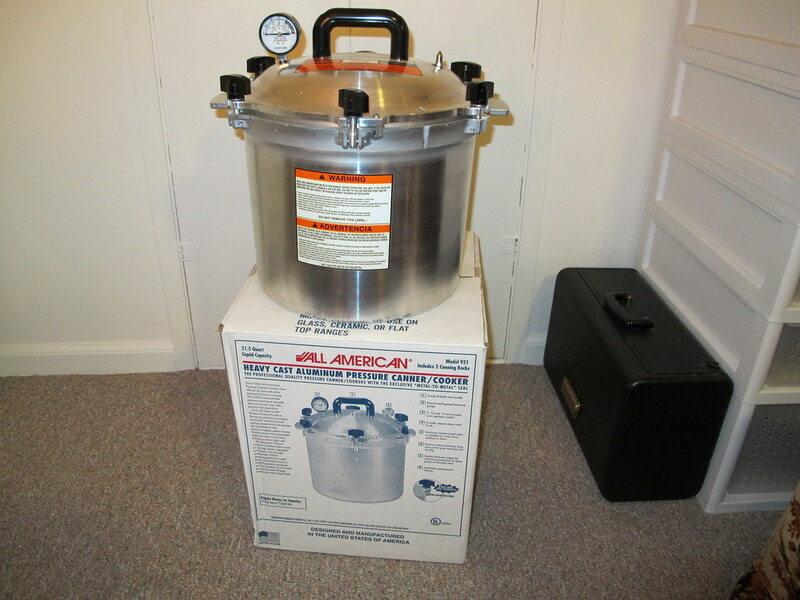 Four years ago in a fit of prepareadness fear I bought an All American Model 921 pressure canner, and used it on and off to put up cheap grocery store meat from the “reduced for quick sale” bin. I spend a goodly portion of a recent Saturday evening canning two bags of Sam’s Club sweet onions. I can’t recall what I paid for the canner. It wasn’t cheap, but I purchased it with a windfall from work, and I’m glad I did-I’ve used it for canning a lot of meat during the past few years. I’ve canned LOTS of tomato based items and acidic hot pepper relishes in my big Cinsaware pot using the water bath method, but it’s not generally accepted as safe to water bath meat. It’s sitting next to my Zenith Transoceanic, which I’ll be ordering capacitors for next week (after payday). They’re really tasty. 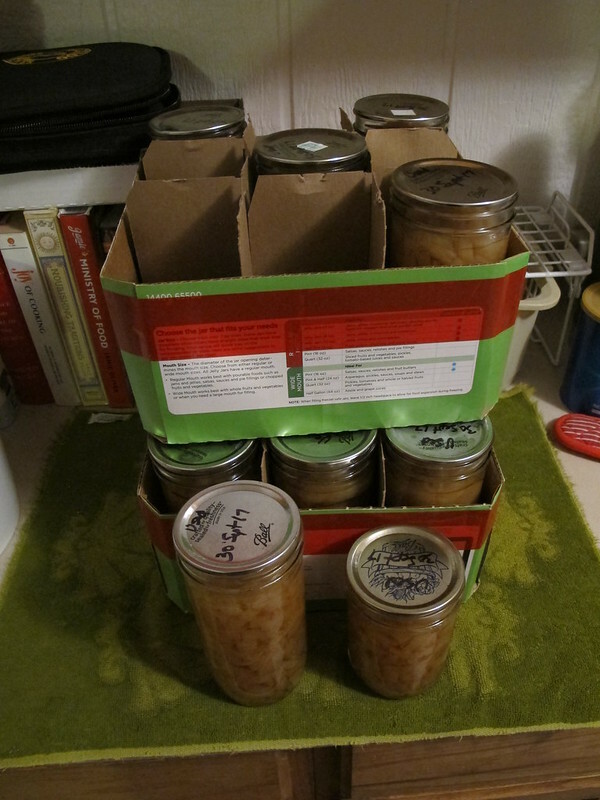 I used beef broth to fill the jars, left around an inch of room from the top, and loaded them in the canner. I put up 14) 1.5 pint jars, and 5) 1 pint jars. I opened one to use in some beef sausage cabbage soup, and it was excellent. Next time I might cook the onions down in a pan first before putting them in jars, and I’m definitely going to make some onion soup as well-my buddy’s wife over at eatgrueldog.com has a recipe that’s to die for. While you’re stealing his recipe, check out his site-he’s a good guy. My trips to the gym are paying off. I’m getting stronger, I have more stamina, and my fasting blood sugar levels have been much improved- from 210-220 down to 130-135, and I can live with that. It remains to be seen whether my doctor can. I’m getting kitted up for some wild camping (its a British term for camping in the woods out of a backpack-we’d call it backpacking). I’ve had most of the stuff for years, but I’ve added a couple mess kits that are more suited to carrying into the woods, and a military sleep system. I’ll describe all in a later post. That’s all for now. Get up and get out folks. It’ll do you good.